Congratulations to School Manager Alex Bain, who completed the London Marathon for the third time earlier this month. 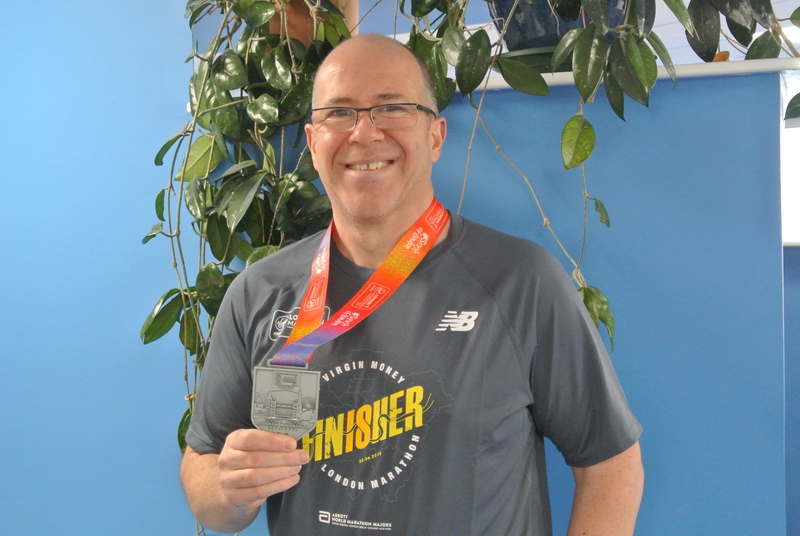 Alex, runner no 32993, is pictured below with his finisher’s medal. Alex also completed the London Marathon in 2017 and 2016 raising funds for Guide dogs and worldwide cancer research. 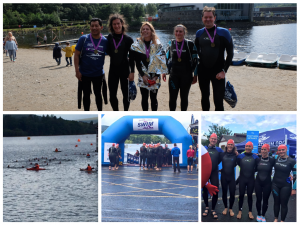 The School participated in the Great Scottish Swim on Saturday, the CS team comprising Percy Perez, David Symons, Julie Dunsire, Alex Voss and Ruth Letham were swimming for Médecins Sans Frontières. 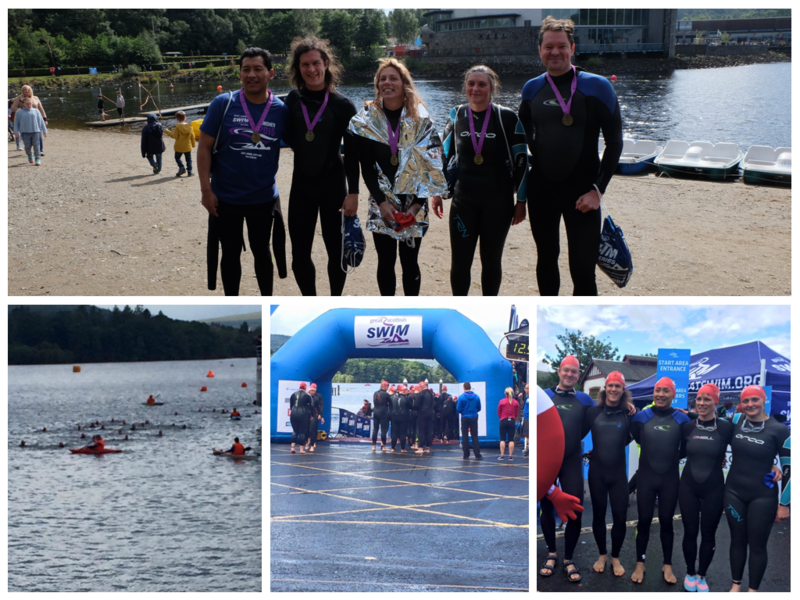 All team members completed the swim in under an hour. Before and after pictures were captured by Katja who travelled along to support the team. Congratulations to all. Their target is £1k and they’re 97% there. You can still donate via https://www.justgiving.com/uoscompsci/.